Is this piece of jewelry made of fake or real pearls? Before shopping for a pair of beautiful pearl earrings, you need a fast mini-guide on how to tell real pearls from their faux counterparts. Fake pearls are fairly common – they are prepared in laboratories and sold under many names. Some of them make it easy to identify them as fakes: they might be sold as costume, imitation, artificial, or simulated pearls. 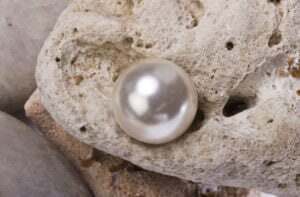 However, sometimes fake pearls are sold as Mallorca or Majorca pearls, which can make customers think that they are simply a variety of real pearl. 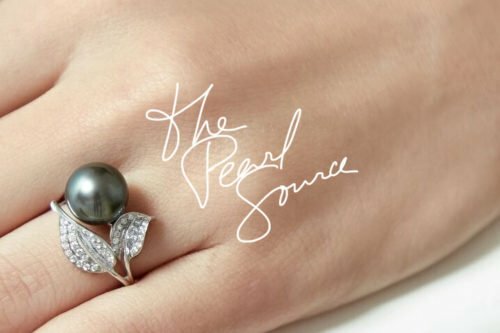 Luckily, with a little bit of prior knowledge, it’s easy to tell the difference between real and fake pearls. For example, fake pearls will actually be too perfect. Often, they will be completely round and lustrous. If they’re in a necklace or bracelet, every pearl will be exactly the same size. There will not be any ridges around the drill hole, and they will all be the same color. How to tell real pearls from faux pearls: real gems will always have some sort of imperfection. They will reflect light well and will have a unique depth of color. You’ll also notice that real pearls feel gritty if you rub them together or against your tooth. On the other hand, fake pearls will usually be perfectly smooth. They will also be cool to the touch, even in hot weather. FACT: The Susa pearls are the oldest pearl jewelry in the world. Featuring a triple string choker that holds 238 pearls, the piece comes with intricate gold clasps. The pearls were found in Ancient Persia in 1901, dating from 350BC. 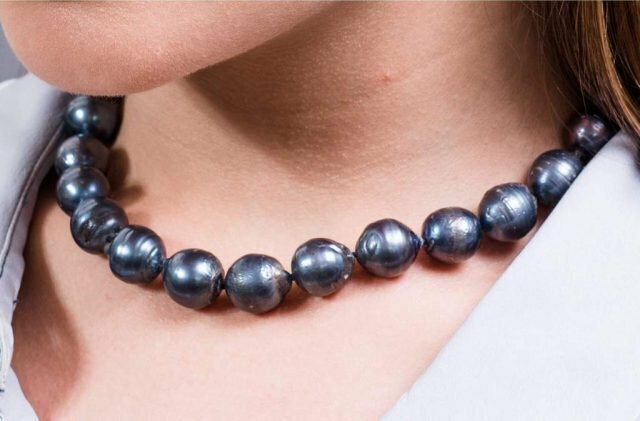 If you are all about embracing ‘imperfections’ and love pearls that aren’t perfectly round, there’s no better way to upgrade your jewelry collection than with a Baroque Pearl Necklace featuring stunning dark Tahitian pearls in shades of silver, grey, bronze, copper, blue-green and more. The most precious real pearls are those that are formed in nature. They develop when an irritant enters a mussel or oyster. Firstly, the mollusk releases nacre, the same substance that forms the inside of its shell. Next, the mollusk coats the irritant until it is no longer an annoyance. While pearls formed in the wild are the most valuable, there are also many real pearls available that have been farmed. Pearls are farmed by intentionally inserting irritants into mollusks. 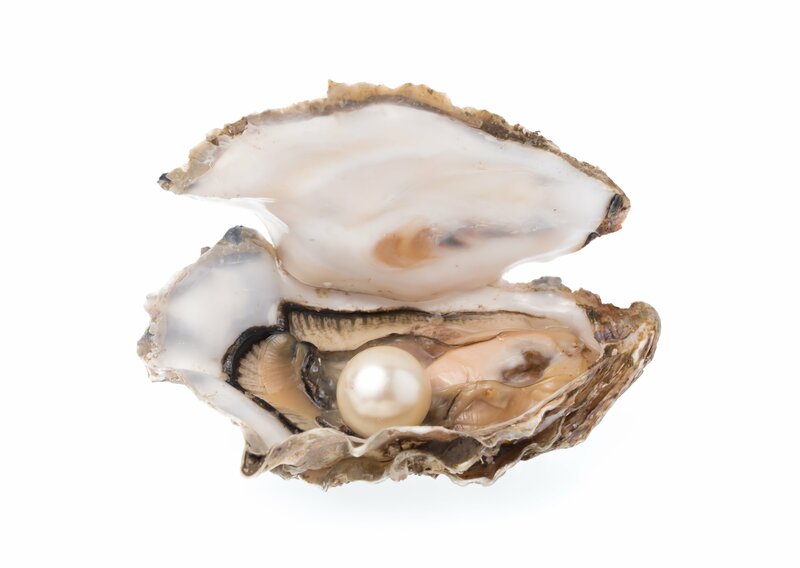 As a result, it takes about three years for the oyster to produce a pearl. If you are considering buying some beautiful pearl jewelry, you’ll want to learn how to identify real pearls. 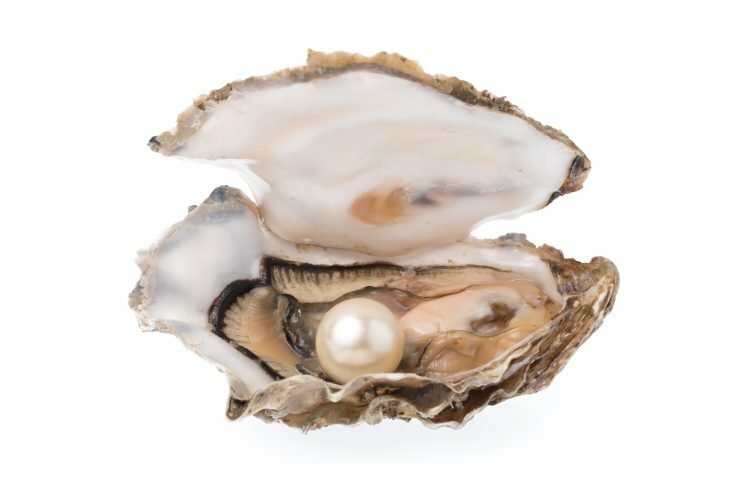 Luckily, it’s not difficult to do as long as you keep in mind the points laid out in this article regarding pearl color, texture, and size. 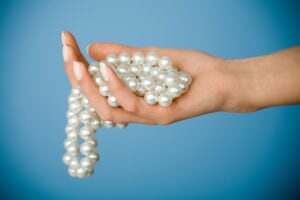 If you’re not confident in your ability to identify real pearls, you can also protect yourself by buying your pearls from a respected source, such as The Pearl Source. We offer only the most beautiful and high-quality real pearls. FACT: Hindus believe that specific pearl colors represent certain virtues: yellow stands for wealth and prosperity, gold pearls symbolize understanding, grey or blue bring good luck, and white pearls bring fame and authority.